Chinese company Xiaomi has announced its first tablet, the MiPad, a plastic iPad mini lookalike with a resolution on par to Apple’s Retina Display powered by Nividia’s Tegra K1 processor. The cheapest iPad mini model currently costs $399 to own. 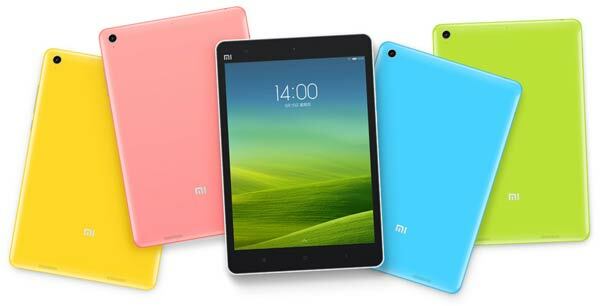 But Xiaomi’s MiPad undercuts Apple by a great deal whilst matching most features of its popular tablet. Priced at $240 (£145) for the 16 GB variant, the MiPad sports a 7.9-inch screen with the same 2048x1536p resolution as the iPad mini, and is protected by Corning Gorilla Glass 3 screen. The colour scheme and design also shadows the iPhone 5c collection and the company openly admits that the MiPad uses the same materials as the “unapologetically plastic” 5C, according to The Verge. The device will run on Android 4.4.2 KitKat paired with MiUI, Xiaomi’s own heavily customised version of Android largely resembling iOS7, out of the box. MiPad is said to be the first tablet powered by the 4+1-core Nvidia Teggra K1 SoC ARM Cortex-A15 processor. It will also feature 2GB of RAM and offers MicroSD card support for up to 128GB of storage expansion. At 8.5mm thick, the Mi Pad is slightly thicker and a little heavier at 360g than Apple’s tablet. The low cost device is said to be available as an “open beta” in China from June, where pre-production samples will be handed out to dedicated fans. The beta is probably an effort to assess how much interest a high-spec, low-price alternative to Apple’s tablets will attract. “We wanted the hardware to come close to, or even surpass Apple’s iPad,” Xiaomi’s founder Lei Jun said at the launch event in Beijing. No information as to when it will go on general sale has been revealed so far.